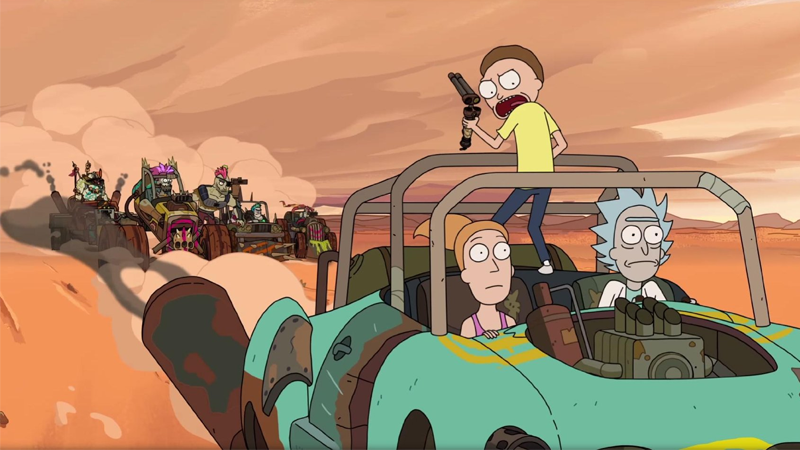 Last weekend Dan Harmon, one of the minds behind Rick and Morty, sent fans into a worrisome spiral when he tweeted about the nebulous future of the show. While Harmon was right in that a fourth season has yet to be ordered by Adult Swim, the reason for it is... well, a little boring in comparison to thinking the show is doomed. The reason we’re not working on Rick and Morty right now ain’t because I figured out that I don’t need to impress you. It’s because of a little something called contract negotiations and it’s gotten complicated this time around. That complication might be, in part, due to the show’s huge boost in awareness after the critically acclaimed third season, which is when Rick and Morty truly evolved from clever scifi series into a major part of the pop culture zeitgeist (and, for better or worse, the incredibly specific “limited time fast food dipping sauce” zeitgeist too). Retaining people who made the show such a huge hit in the first place is vital to its future, especially now Rick and Morty is as huge as it is. Still, it means while we sit waiting for those negotiations to come to an end, there’s going to be a lengthy wait beyond that for more Rick and Morty adventures on our screens.